The Bureau of Labor Statistics projects a 19% job growth rate for psychologists over the next seven years. Educational psychology is no exception. Educational psychology is the study of identifying and understanding how people absorb and retain information. Educational psychologists work in school settings, employment settings, and social settings. They study how people learn across settings to identify and promote effective learning. An online master’s in educational psychology is a great way to earn your advanced degree without being on campus. Studying online gives you the flexibility to learn when it’s convenient for you, while still keeping up with work or family responsibilities. The schools included on this list offer the same rigorous programs online as those offered in a brick-and-mortar program. – the presence of specialization areas (an individualized experience). The top 20 schools are showcased below. 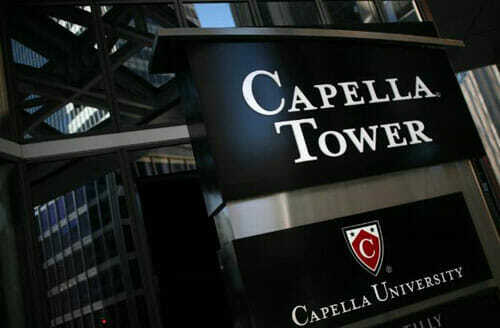 The online master’s in educational psychology program at Capella University is offered through the Harold Abel School of Psychology. The program focuses on cognitive development, learning theory and motivation to help students succeed across various settings. The curriculum is delivered online with four core courses, five specialization courses and an integrative project. Faculty are doctoral level professionals familiar with the latest in theory and practice. With the innovative FlexPath schedule, students can earn their degree on their own schedule, potentially saving both time and money. Eastern Washington University’s online master’s in school psychology program provides a school psychology certificate and an Educational Specialist degree in school psychology. The program can be completed in two to three years of study depending on whether or not the students attend full-time. Students are required to complete a 1,200 hour internship to gain experience and apply their knowledge. The program operates as a cohort model. Students complete asynchronous program components through discussion boards and assignments. Students need to be on campus each fall they are enrolled to complete a four day long weekend session to connect with each other, their instructors, and engage in live classes. 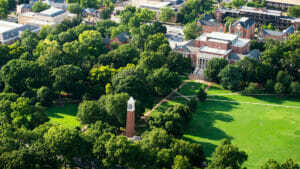 The University of Alabama offers an online master’s in educational psychology program with a specialization in learning and assessment. This 30 hour program is accredited by NCATE. It’s taught by the same outstanding faculty who teach the traditional brick and mortar program. Unlike several other programs, this top online educational psychology master’s program is open to both educators and non-educators. One of this program’s strengths is the diversity of professionals enrolled in the program. Florida State University delivers a highly individualized flexible program designed to meet the needs of busy professionals. It’s considered one of the best online educational psychology master’s programs in the country by U.S. News and World Report. Students come from a variety of backgrounds. They develop close working relationships with faculty and staff who have earned international recognition for their work. Students can choose between a thesis track or non-thesis track depending on their professional goals. The time it takes to earn this degree will depend on which track is selected. 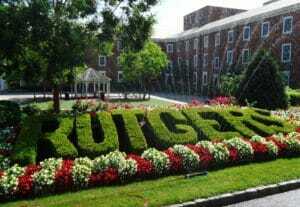 Rutgers University’s online educational psychology master’s degree focuses on learning, cognition, and development as they apply to education. The 100% online curriculum prepares students for a variety of educational careers in addition to doctoral study. The program uses a cohort format, allowing students to move through the program together and earn their degree in just two years. 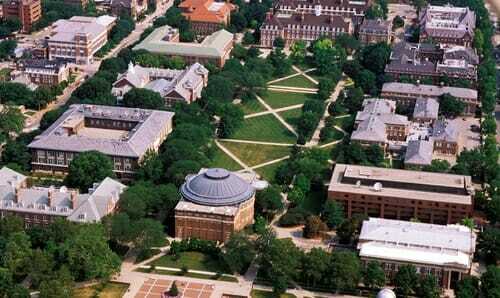 The University of Illinois offers an online master’s in educational psychology in Evidence-Based Decision Making. Students will develop the skills and expertise needed to make data-driven and evidence-based decisions across settings. Coursework is delivered online through an integrated learning platform. Students need to attend class online during specified times. 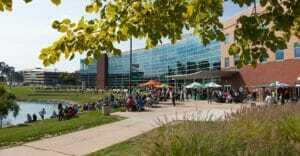 The top educational psychology master’s degree program at Eastern Michigan University focuses on the developing learner. This 30 credit hour program studies individual learners from a cognitive, emotional and social perspective. Students come from all walks of life. They include teachers, parents, businessmen, and those who want to gain a better understanding of other people. All courses are offered online and students move through the program at their own pace. 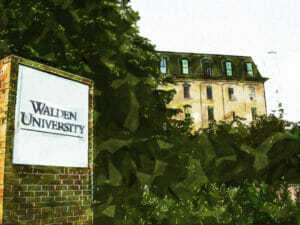 The 48 credit hour online master’s in educational psychology program at Walden University studies cognition, motivation, development, and learning for people with a wide spectrum of abilities. Students are prepared to work in educational settings or continue on to Ph.D. studies. Courses are 11 weeks long and taken in a prescribed sequence. The program, open to students of all undergraduate backgrounds, provides a unique and diverse experience. 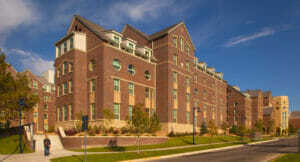 The University of Northern Colorado offers an online master’s in educational psychology designed especially for teachers. The program can be completed online in about 19 months. Interactive courses help facilitate personal and professional relationships with faculty and peers. Graduates have gone on to work as consultants in occupational learning. They are also teachers with an in depth knowledge of human motivation and learning in school districts and other educational settings. Faculty at UNC are experienced professionals in the field. 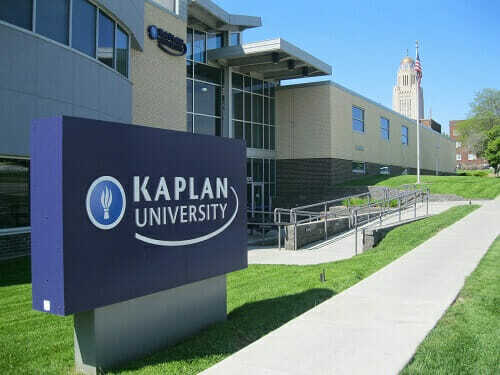 Kaplan University is a leader in online education. It offers an online master’s in educational psychology program for students who want to build, implement, and evaluate instructional regimens for effectiveness. Students will learn to evaluate programs and recommend improvements. The 52 credit hour program features multiple start times. This allows students the added flexibility to begin the program when it’s most convenient. 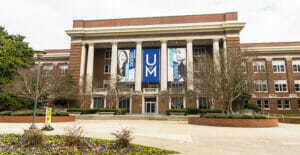 The University of Memphis features an online master’s in educational psychology program ideal for students who are unable to attend a traditional classroom based program. 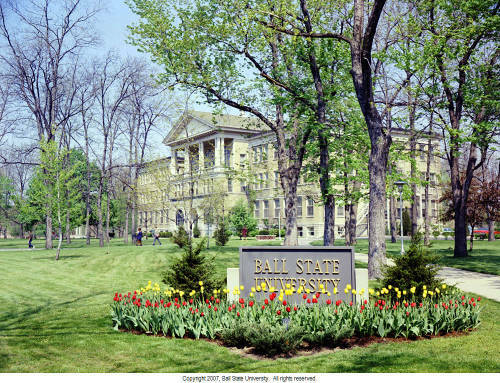 Students come from a variety of backgrounds including administration, military, health, law enforcement, and business. The program teaches students to use educational and psychological research to understand and solve complex problems in society and educational institutions. The online master’s in educational psychology program at Edinboro University of Pennsylvania is a 30 credit hour program. It’s designed as a part-time program to be completed over two years. All courses are online and taught by highly educated faculty with experience working with children and families. Students will learn how to monitor children’s progress while having a broad understanding of the overall development of children. There are no field requirements. All coursework can be completed online. Texas A&M University features a 36 credit hour online master’s in educational psychology in both asynchronous and synchronous formats. Students can earn their degree in about two years. A practicum experience is a highlight of the program, providing students with the opportunity to utilize their skills and talents. There is no thesis requirement with this program. The focus area is on school counseling. Applicants should have classroom experience or at least a school affiliation to apply. 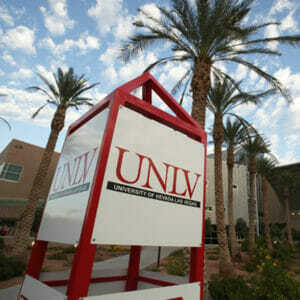 The University of Nevada at Las Vegas offers an online educational psychology master’s degree program. It’s designed for students in education, those specializing in educational psychology and those interested in school psychology. Students have the opportunity to tailor the program to meet their personal and professional goals. This top online master’s in educational psychology allows students to choose between a thesis or non-thesis option. Students choosing the non-thesis option will complete a culminating experience. Fort Hays State University offers a top online master’s in school psychology for students unable to attend a traditional on-campus program. The program can be completed in two years of study. Students will need to come on campus for the Appraisal of Children course for a one week intensive experience. The program can be completed with 66 credit hours of coursework. Students complete their master’s in 30 credit hours and their Education Specialist degree in 36 credit hours. In order to meet licensure requirements in Kansas, students need to complete a supervised internship of 1,200 clock hours. Marist College features a hybrid model master’s in educational psychology that can be completed in just two years. Students begin the 36 credit hour program in the summer and take two courses each semester. Students attend two-week summer sessions on-campus and complete the rest of the program online. Online students are engaged with faculty and peers through iLearn, an innovative online system. Courses are offered in a set sequence in this cohort model program. 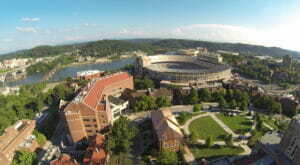 The online master’s in educational psychology at the University of Tennessee is a 36 credit hour program with a concentration in either Adult Education or Applied Educational Psychology. Students can earn their degree in two years by taking two online courses each semester for six semesters. There is no thesis requirement for this top educational psychology online master’s program. Students need to complete only the coursework and pass a comprehensive examination. 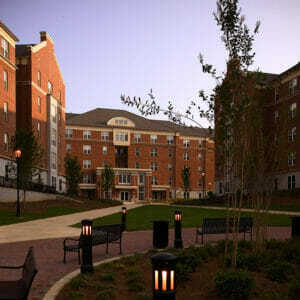 The online master’s in educational psychology, applied cognition and development program at the University of Georgia is offered through the College of Education. Students will gain an understanding of how human cognition, motivation, and development impact education and practice. Students can choose a secondary area of focus to get more in-depth knowledge. In 2017, U.S. News and World Report ranked the online graduate education program at UGA 6th in the nation. Faculty are nationally accredited and offer individualized attention to students taking courses online. 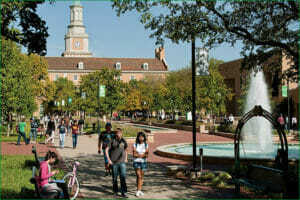 The University of North Texas is our top choice for an online master’s in educational psychology. Students can choose a concentration in either Research and Evaluation or Gifted and Talented. The Gifted and Talented online program can be completed in just one year of study. It prepares graduates for a variety of roles, including curriculum specialist, program coordinator and teacher of the gifted (provided they have teacher certification). The Research and Evaluation concentration area prepares students to work in public or private organizations designing evaluations, interpreting research findings, developing research programs, or implementing grant proposals.